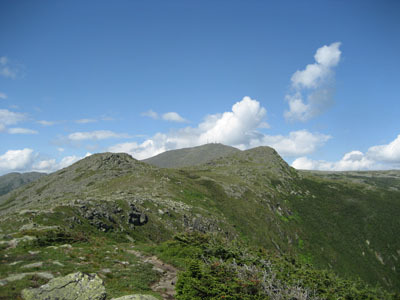 Route: Edmands Path, Crawford Path, (Mt. Eisenhower summit), Crawford Path, unknown spur path, (Mt. 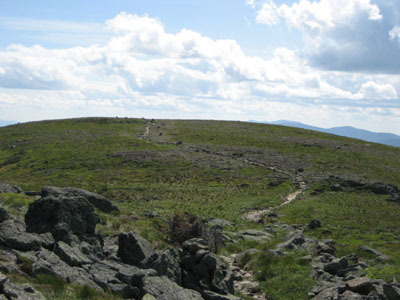 Franklin summit), unknown spur path, Crawford Path, Monroe Loop, (Mt. Monroe summit), Monroe Loop, Crawford Path, Edmands Path. With working crazy hours at quarter close, I had some comp time coming to me. 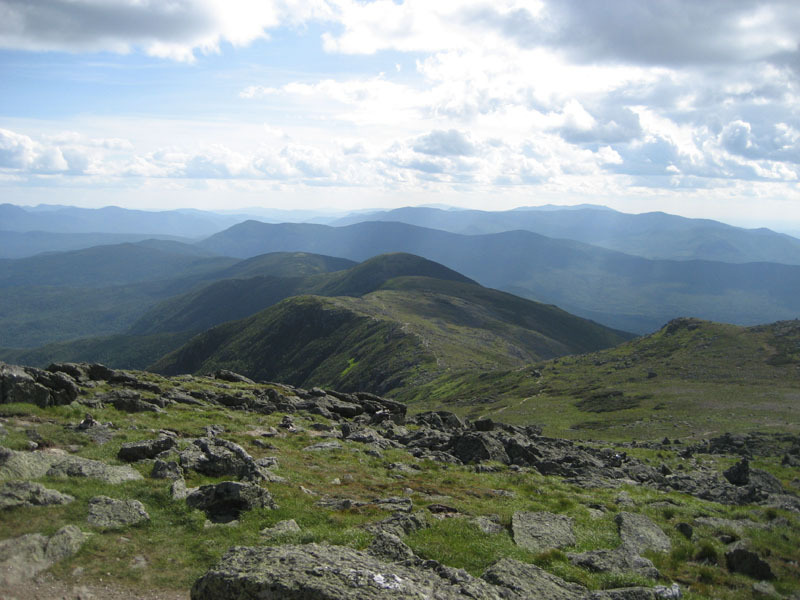 Thus, I decided to take the afternoon off and hike in the southern Presidentials with the last decent day of weather in the forecast. Arriving at the Edmands Path trailhead in the early afternoon, I had to make my own space. 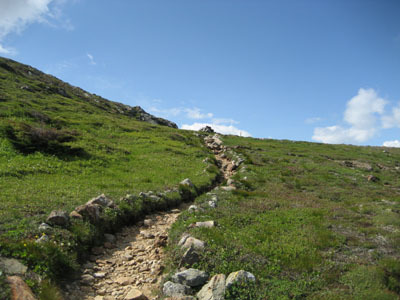 The Edmands Path is relatively flat for quite awhile - I was able to get maybe half a mile of jogging in without too much effort before the trail gained a slight pitch. 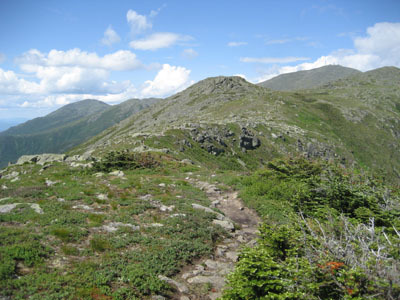 Of the three plus miles of trail between the trailhead and Eisenhower summit, there are only two spots with any sort of pitch (moderate) - the middle third and the last ascent up the Crawford Path. Though there were a bunch of people at the Edmands Path/Crawford Path intersection, I was fortunate enough to have the Eisenhower summit to myself. As has been my afternoon luck in the past, the views to the west were hazy, however the views to the south/north/east were strong. My next stop was Mt. Franklin. I started down Mt. Eisenhower and up over fields of rock and grass (tremendous views the whole way) via the Crawford Path, before taking a spur over to Mt. Franklin. 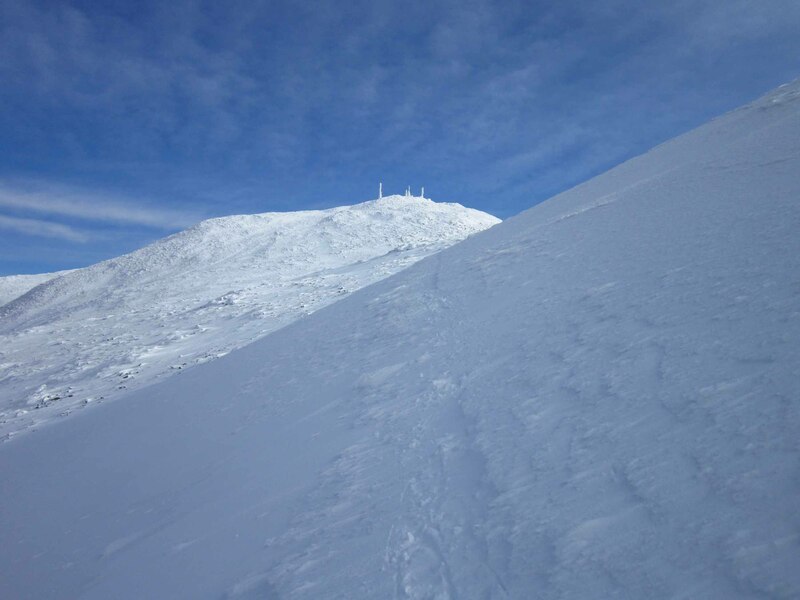 Again, I was fortunate to have the summit to myself. 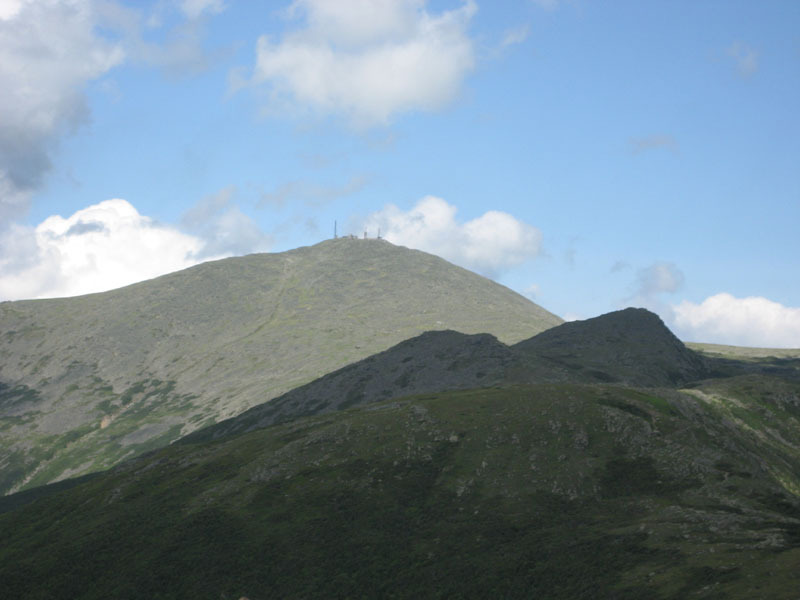 The steep topography on the east side of this peak makes the views that much more dramatic. 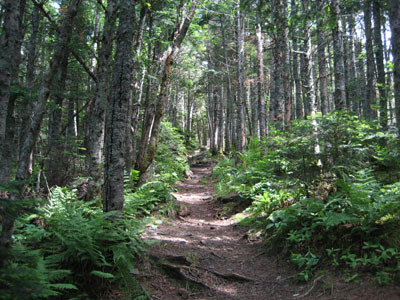 Back on the Crawford Path, my next stop was Mt. Monroe. 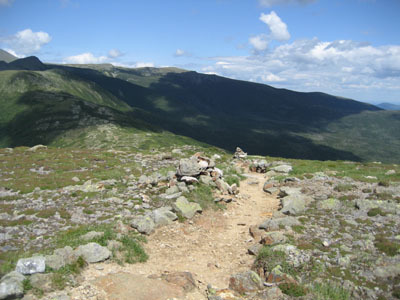 My original intent was to take a short spur from the Crawford Path up to Mt. Monroe. I missed this, however (come to find out, its walled off), and decided to enjoy the pleasant stroll around the east side of Monroe - nice views, very little wind, no crowds. 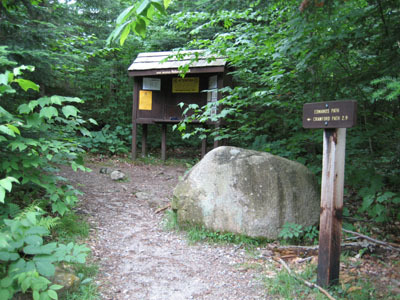 Soon I arrived at the Monroe Loop junction near the Lake of the Clouds. From here to the summit of Monroe was rather steep scrambling (though enjoyable). At a perfect 3 for 3, I had Mt. Monroe's summit to myself. After putting on the patella strap, getting out a trekking pole, and popping an Aleve, I started my descent through the rocky southwest portion of Monroe. Before I knew it, I was back at the Edmands Path and below the treeline. I used the gentle path to my advantage and jogged the last mile and a half or so - knee didn't like it, but I didn't ask it's opinion anyways. Directions to trailhead: Take Route 302 West from Bartlett into Carroll. Just after Saco Lake, take a right onto Mt. Clinton Road. Take this road for a few minutes. The Edmand Path trailhead and small WMNF fee parking area will be on the right.